Dennis Oelmann delivered the replacement canard, and it looks great! 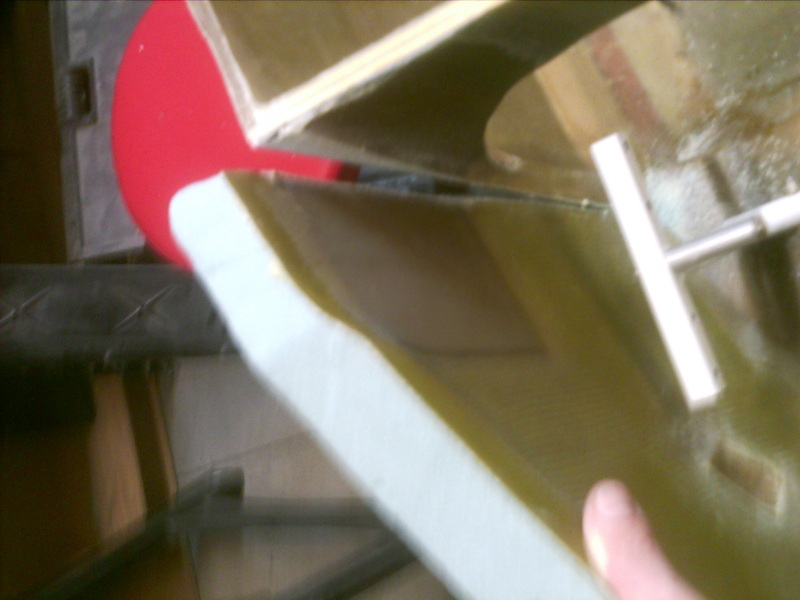 I do have a problem with the lift tabs fitting in the fuselage, but that appears to be my fault. I misunderstood the plans and reduced the sides by 3/8″, instead of reducing it “to” 3/8″ (total thickness) in that indented area at the top of the sides. I will cut between the F22 and the fuselage sides all the way down to the pivot block and I will have to reattach them later. This will allow room for the canard lift tabs, and for the drill to drill out the lift tabs. Made the cut along F22 on the fuselage sides, all the way to the pivot blocks on both sides. 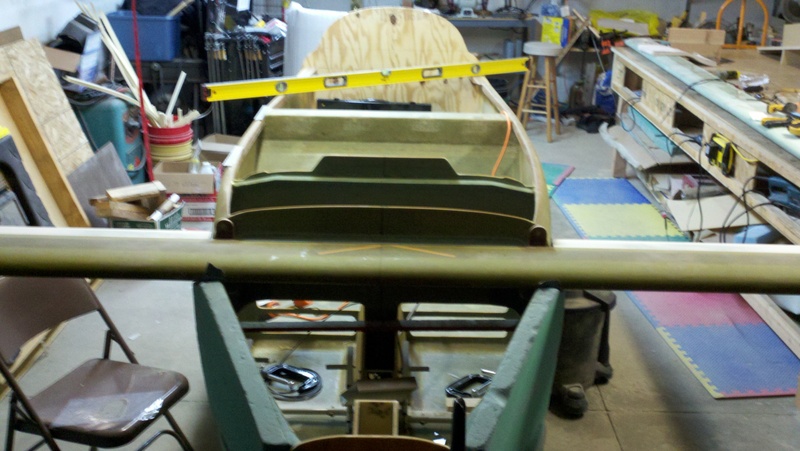 Pried the sides of the nose apart enough to fit the lift tabs on the canard. 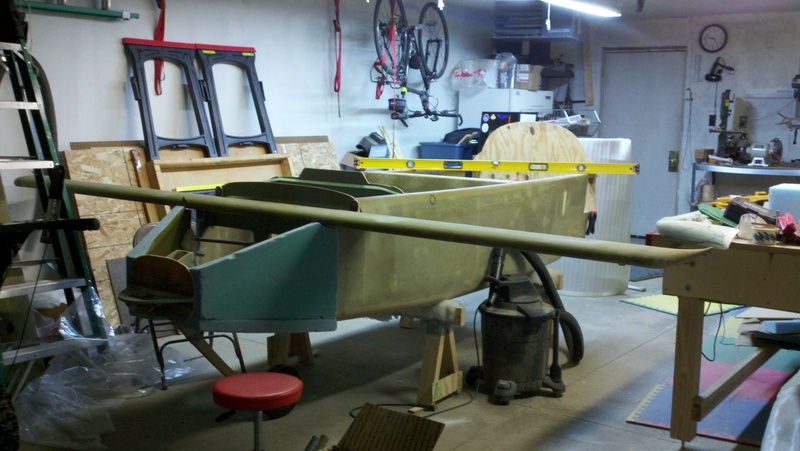 Spent the rest of the time sanding bits of the fuselage to fit the canard and remeasuring level, incidence, and perpendicular to the centerline. 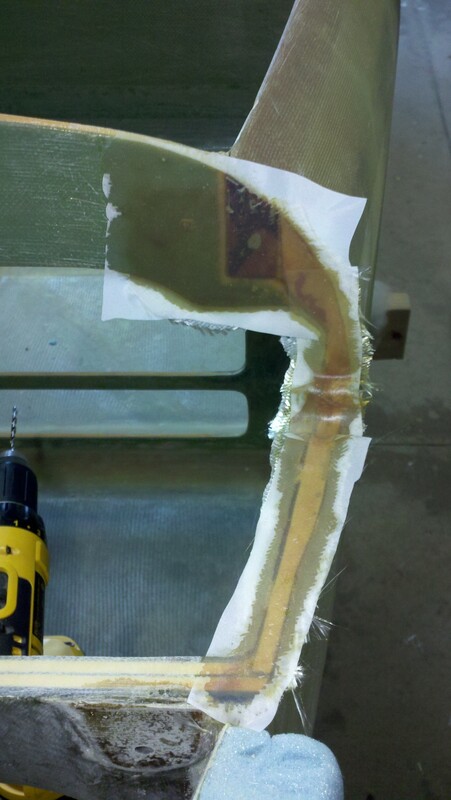 Once all was square and level, I measured the thickness of the shim, and added the proper layers of glass to duplicate the thickness for the passenger lift tab, and allowed to cure. Sanded, did some prep work, added duct tape on the rear of the lift tabs for release, and added flox to the rear of the lift tabs, and installed the canard back into the fuselage. 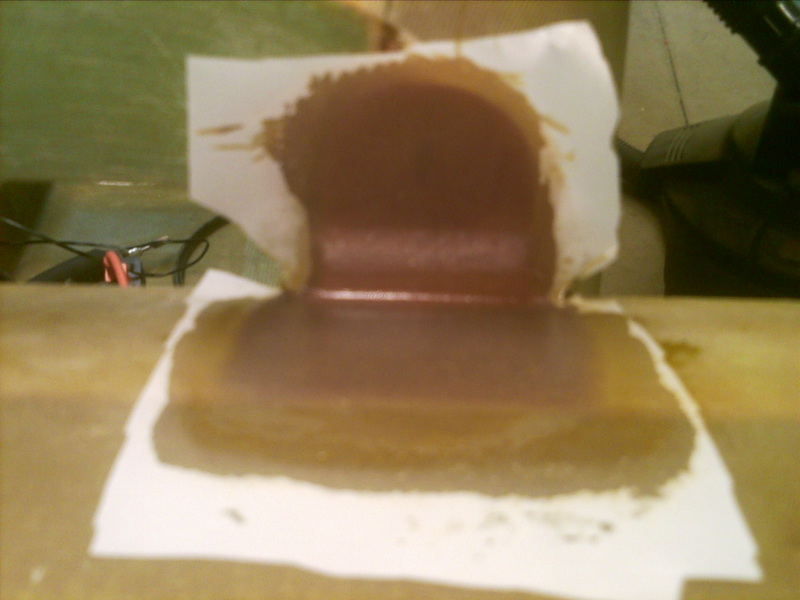 This will ensure the lift tabs are perfectly fit along side F22 when the canard is at the proper incidence. Now that the flox pads are complete for the lift tabs, I was able to drill the holes for the lift tabs. Note: I noticed when prying the nose sides apart to drill holes for the lift tabs, the foam delaminated from the glass in a section about 9″ x 5″. I talked to Dennis about the situation, and he suggested drilling a few holes and injecting some micro slurry into the void, which I will do when I get to that point. Finished constructing the alignment tabs for the top of the canard out of birch plywood. They barely reached the rear edge of the canard. As other builders have done, I added a second layer of birch at the bottom, and contoured the edges for a nice transition. Finished with 5 layers of BID per plans. Trimmed the edges of the alignment tabs, drilled out the holes, rounded the birch edges, and glassed the back side with 4 layers BID. Drilled out the alignment tabs again, and floxed the Cozy Girrls insert into the holes with 5-min epoxy. Installed the canard again and checked the incidence. It appears I have more positive incidence than before, and I had added some to begin with. Time to search the archives… There is a post from Marc Zeitlin about things he would do different if building again, and #10 was add 1 – 2 degrees of positive incidence to the canard from the revised template. Seems that most folks fly in level flight requiring the elevators be down a 1/4″ or so, and this should fix that. Used the smart level to figure out how many degrees I was off. As it turns out, it was 1.2 to 1.6 degrees more positive, depending where I checked on the canard. Incidentally, this equated to being exactly 1/2 bubble off on my torpedo level. After the Canard and elevators are fitting properly, I put one layer of BID on the top of the fuselage sides where the canard will sit on. Also mixed up micro slurry and injected into the nose sides. This is the section where I had delamination from spreading the sides enough to fit the drill when drilling out the lift tab holes. This entry was posted in Uncategorized and tagged birch plywood, canard, f22, fuselage sides. Bookmark the permalink.